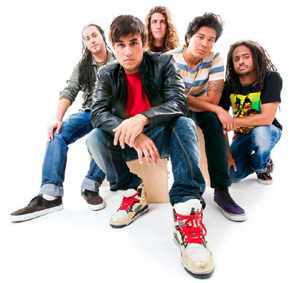 Tomorrow’s Bad Seeds, is the five member reggae band from Hermosa Beach, California that has been growing exponentially in the last few years. Since they started playing together in 2004, The Seeds have been producing crisp and complex arrangements that have flashes of rock, pop, hip hop, with a predominantly reggae sound that is always apparent. Their lyrics are socially conscious and uplifting. Similar to bands like Sublime, The Wailers, 311, and Slightly Stoopid, they have a positive sound with rythyms that will keep you dancing throughout your day. Tomorrow’s Bad Seeds will be playing with Passafire, Pacific Dubs, and Tropical Riddims Sound System at the Majestic Theater in Madison on Friday, January 27th and will be doing and in-store meet & greet at Kuckleheads on State Street earlier that day from 11am-2pm.